The Potter's Hands Are Shaped A Cup From A Clay. Description: The potter's hands are shaped a cup from a clay. 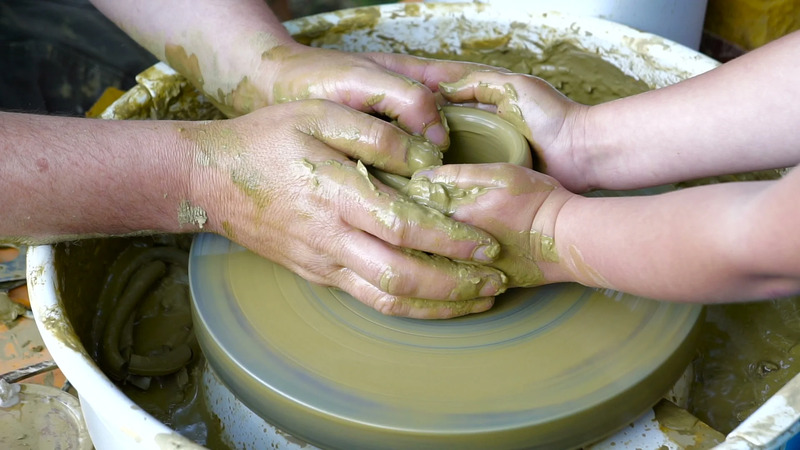 The process of creating pottery on a potter's wheel. The master ceramist teaches the pupil to make a pot in his studio. Close-up, only hands.